A well designed deck can capture that quintessential Cape Cod view, create a comfortable outdoor living space, or simply add a feeling of spaciousness to your home by blurring the boundaries between inside and out. Be sure that the deck is designed to match your home and lifestyle. The deck should match the architectural style of your home, and flow naturally as an extension of your living space. You must also consider the primary purpose of the deck, whether you are looking to use the deck for entertaining friends and family barbecues, or near a swimming pool for sunbathing. These uses need to be taken into consideration during the planning stages, to ensure there is proper space for furniture, grills, and the number of people you anticipate using the deck. This is also the time to decide whether you would like to include built in seating such as benches, and whether you will need electrical wiring for lighting or a sound system. The selection of the railings and balusters along the edge of the deck are important pieces of the aesthetics and safety of the area. 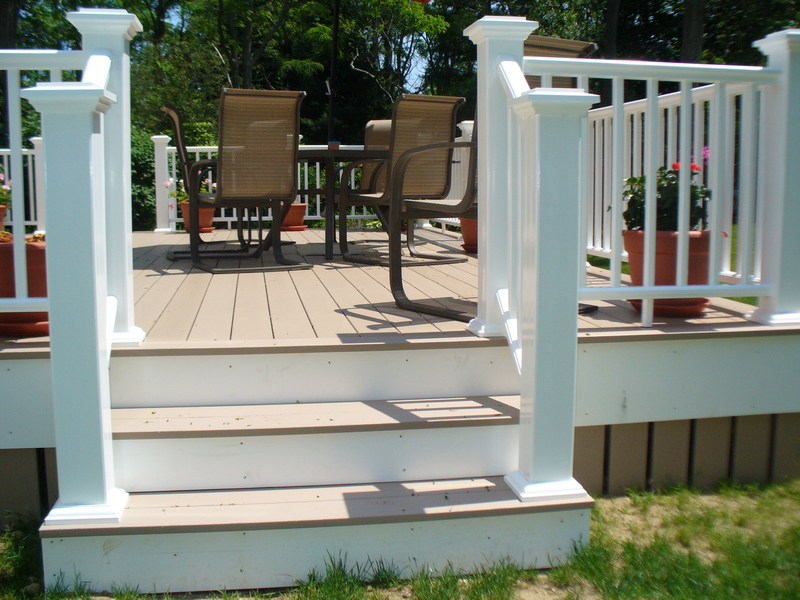 Balusters are the vertical pieces between the top and bottom rails of a deck, there are building codes require railings to be 36” high with balusters spaced less than 4” apart to help keep young children safe. 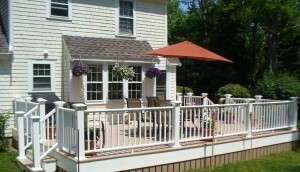 Often, the location of the deck is the first decision made in the process of designing the deck. Perhaps the new deck is being built to replace an existing smaller deck, or it is part of a new addition to the home. Is it going to be at ground level, on the second story over a walk-out garage, or maybe even a roof deck where you can enjoy the ocean view? Even when the location seems obvious, it is important to take into consideration sun exposure and privacy. A deck facing the south will receive the most sun, which will likely extend the season on Cape Cod, but may require an awning for enjoyable mid-summer use. You may even want to consider building a screened in deck or patio to really maximize your use of this space. A beautiful screened in porch is the ideal space for reading, dinner, and entertaining friends – protected from the weather and it is bug free! There are many materials to choose from when designing your deck, consider the cost, durability, maintenance required and appearance of each to help you decide. 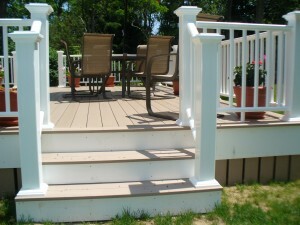 Pressure treated decking is the most popular choice for most homeowners. It creates a beautiful natural looking deck and is an affordable option, however it weathers over time and does require maintenance. Today’s composite decking is a great alternative for those who want the natural look of real wood without the maintenance. Composite decking doesn’t warp or splinter the way that traditional wood decking can, and usually comes with at least a twenty year warranty. About the Author: Scott Ryan has over 25 years of experience in the construction industry and has owned his own company, Ryan Construction since 1997.